The Cyrus Cylinder is an object whose humble form belies its historical importance. 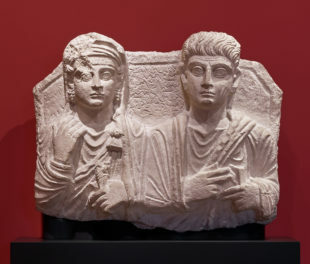 Working on the exhibition now at the Getty Villa, it was my task to help explain this “object of many stories” clearly and concisely—to help you understand what it is and why it matters, and to make the case for giving it a deeper look. After many months spent researching the Cylinder and its context, I’d like to share with you the facts about it that have the most resonance for me, ones that I hope visitors to the exhibition will take away, and remember, long after the Cylinder returns to London. 1. It’s named after the Persian king, Cyrus II. Cyrus ruled from 559 B.C. until his death in 530 B.C. The Cylinder marks his peaceful capture of the magnificent city of Babylon (in modern-day Iraq) in 539 B.C. 2. Cyrus is widely referred to as Cyrus the Great, and with good reason. The taking of Babylon was a game-changing moment, the crowning achievement in what Cyrus’s massive expansion of the Persian Empire–all in just 20 years. 3. 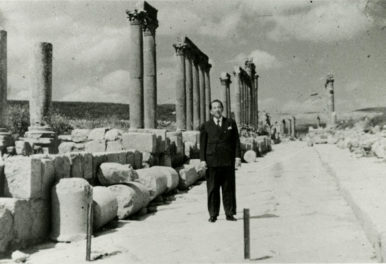 Even before the Cylinder was discovered in 1879, Cyrus had an enviable reputation. Greek historians wrote about Cyrus’s deeds, and Xenophon even penned an account of his career. The Cyropaedia (literally, ‘The training of Cyrus”) presents Cyrus as an ideal statesman and ruler, a legacy that has had lasting influence since the Renaissance. 4. Jewish texts go even further, mentioning Cyrus as a Messiah-like figure—the Lord’s shepherd and his anointed. This is because, after the First Temple in Jerusalem had been destroyed and the Jews deported to Babylon in 597 and 587 B.C., Cyrus brought an end to their exile. Not only did he allow them to return home, but he encouraged the rebuilding of their temple and returned the treasures that had been stolen by the Babylonians. 5. The Cyrus Cylinder provides an invaluable account—in Cyrus’s own words—of his deeds and policies. The Cylinder records Cyrus’s acts following his capture of Babylon. The previous ruler, Nabonidus, had offended the gods, disrupted religious life, and brought ruin on the people, says the Cylinder. Cyrus–chosen by the chief Babylon god, Marduk–peacefully entered the city and upheld traditional practices. He arranged for sanctuaries to be repaired, for statues of gods to be returned to their rightful places and for peoples who had been deported to go back home. See the full translated text here. 6. Though the Jews aren’t mentioned on the Cyrus Cylinder, the ending of their exile is surely related to the policies it describes. It’s for this reason that the Cyrus Cylinder has been seen as a model of tolerant behavior, a paradigm of how to govern a multi-ethnic, multi-cultural society. 7. We can call the Cyrus Cylinder an ancient “press release”–a message to the people of Babylonia from their new ruler. Although the Cylinder is a unique artifact, the text was a royal proclamation, and would have been drafted in multiple copies. This supposition has been confirmed by the recent discovery in the British Museum of two fragments from a clay tablet (also on view in the exhibition) that replicate portions of the inscription, and even add phrases that do not survive on the Cylinder. 8. Its cylindrical shape was a traditional form for “foundation deposits,” inscriptions buried in the foundations of a building or wall. Depositing a text in this way had long been a custom in Babylonia, a means of invoking the favor of the gods. But it had another, more earthly and no less visionary purpose. For foundation deposits were also written with one eye on future generations who might recover the inscriptions and learn of the ruler’s great deeds. And this is exactly what has happened with the Cyrus Cylinder. 9. This “time capsule” remained hidden underground for 2,438 years. The Cyrus Cylinder was not discovered until 1879 during British Museum excavations overseen by pioneering archaeologist Hormuzd Rassam. It was shipped back to London amidst many other finds, whereupon its significance was realized. Scholars had only recently understood how to decipher Babylonian cuneiform (from the Latin for “wedge shaped”), an ancient writing system in which characters represent not individual sounds, but syllables or entire words. The Cylinder was swiftly translated and published by Theophilus G. Pinches and Henry Creswicke Rawlinson, and the true importance of this extraordinary object began to be realized—and celebrated. 10. There is a replica in the United Nations. Decades after its discovery, the Cylinder became the focus of renewed attention when it served as the official symbol for the 2500th anniversary celebrations of the Persian Empire. 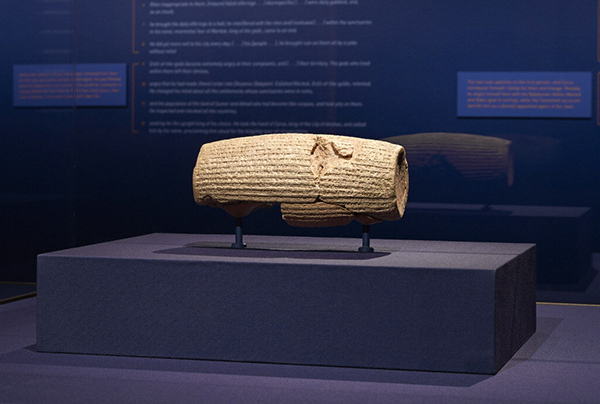 The shah Mohammad Reza Pahlavi (who ruled Iran 1941–1979) had referred to the Cyrus Cylinder as “the precursor to the modern Universal Declaration of Human Rights,” and in 1971 a replica was presented by the Iranian Royal family to the UN. 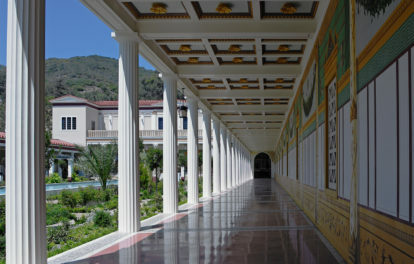 The Cyrus Cylinder is on view at the Getty Villa through December. Admission is free; an advance, timed ticket is required for each visitor, available here.